It was Clifton ‘A’s fist match at their new location. Very comfortable premises compared with their previous location. Despite being out graded by 20+ points on every board the team put up a strong fight. By 9pm all games few fairly even and could have gone either way. In the end it came down to small margins. Clifton either had a very small positional advantage or were a pawn up on four of the boards. Prakash, who had a stronger position earlier on in the game was the first to fall being unable to stop a past pawn from advancing. Losses by Bob and Patryk soon followed. Nigel played a solid game and offered a draw, which was accepted, going into an end game with a slightly worst position but with his opponent down on the clock. 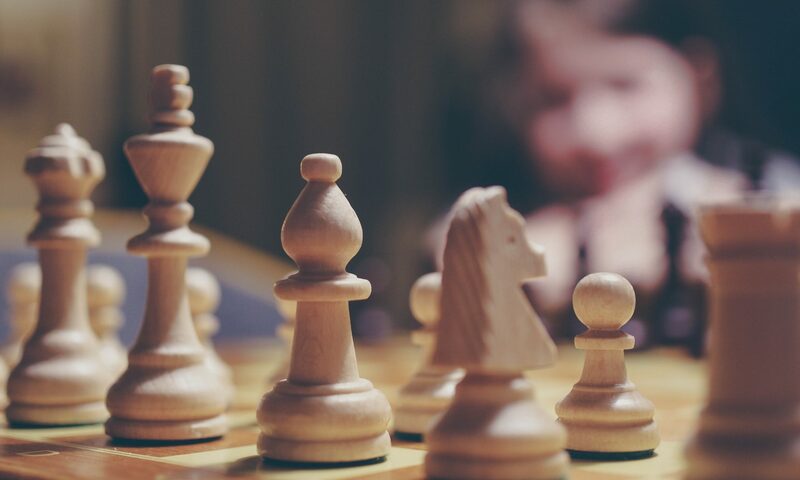 Rob was trying to hang on with a Knight and Rook against a Queen and a pawn on the seventh rank but as there was no hope of stopping other pawns from advancing, he resigned. Piotr was the star of the evening. Coming it as a late replacement, he had a fantastic game which he won going into an end game with a Queen against a pair of Rooks. Overall it was a very good performance but unfortunately still no points to get out of the relegation zone.